There shoul be a way to set a default trading size for all sysmbols without having to go into each induvidual one to change it. Maybe like the way it is now to be able to set 5 different trades sizes and be able to set what the arrow keys do, but make it global for all symbols. 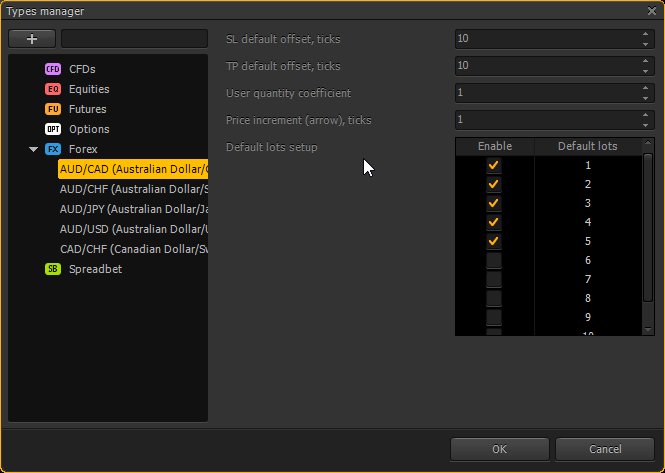 Please try "Types Manager" panel, where you can specify settings for whole type (Forex, Futures, Options etc.) or for individual instrument. You can read about this panel in our Knowledge base.